Okay, I haven’t been keeping up with this thread. I honestly just came back to take a second look at it since MascaratumB is having a GAW for one of these and I wanted to see how things are going here. I like the new look of the prototype with the sloped/ramped side on the battery tube versus having ledges on both ends of the tube and smooth/flat in the middle. Then I looked at the FAQ’s and I have a couple questions now. •No. The entire back half of the light would need to be redesigned/replaced. Why is this? The design I saw in the OP looks like it could be cut down to fit a shorter cell. Why couldn’t it just be shortened? I’m confused by this. •Probably not. The only components which aren’t custom are the LEDs and optic. If you don’t want to do a host, that’s fine. But, this reason for NOT doing it looks more like a reason FOR doing it. Unless you’re saying that each light is literally a one-off because of how they have to be machined, and there’s no way to make a large-scale batch of these hosts (or it would be cost-prohibitive to do so). In that case, how is this GB even happening? As I said, I haven’t kept up here. So, if these things have been addressed, please just point me to those discussions and I’ll look myself. No need to re-hash. I looked at the FAQ’s and I have a couple questions now. Will there be a 18350 version / 18350 tube? •No. The entire back half of the light would need to be redesigned/replaced. The back half of the light is, on the first prototypes at least, basically one piece. Usually a shorty tube only needs one extra piece to be made and swapped… but in this case it would need a new inner tube, new outer tube, new clip, and probably all the tail parts too because they don’t really come apart. Will there be an empty host version? •Probably not. The only components which aren’t custom are the LEDs and optic. By “custom”, it means “not standard” or “not easily replaced by common parts”. For this light, an empty host would be the same thing as a full light, but without the MCPCB and LEDs. I think a Noctigon would probably fit, but I haven’t checked to make sure. The driver isn’t easily replaceable though, since it’s not a standard size or shape or layout. The tail bits are also not standard, and nothing legos with other lights as far as I can tell. Also, I don’t think Lumintop does host versions. It’s hard to get them to even offer replacement parts. The driver is at least reflashable though, and there are several compatible UIs available. It’s just a weird layout, to accommodate the tail e-switch. Thanks for answering TK! I understand now. In the (original?) drawing that’s in the OP, the tail is separate from the tube(s). As for the “custom” host, I guess it does make more sense to just buy a whole light and make the small modifications that might be possible. On my lightsaber, for example, this function is called “self destruct”. It animates an increasingly bright red warning before the reset, then explodes into a fading blue-and-white pattern when the reset has finished. 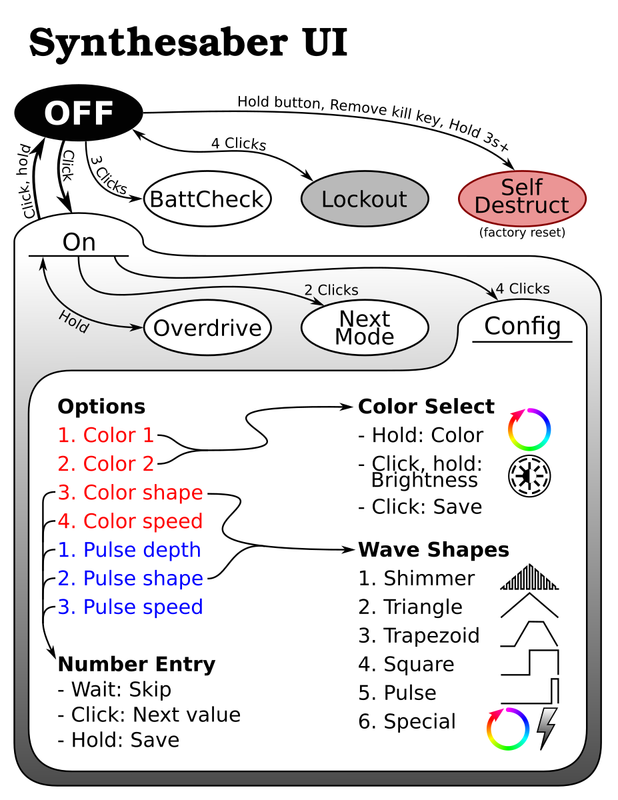 The user can let go during the red phase to abort. Way off topic, but do you have any videos of your lightsaber? It sounds amazing. Hmm. I don’t have any Olight flashlights yet. I think a click for on/off and hold to change brightness might be good. Since it looks like “smooth ramp” is going to remain the clear winner of the muggle mode poll, I went ahead and implemented it. I also made it save this state to eeprom so it’ll persist across battery changes. Six clicks to enter, six clicks to exit. And since it only uses about half the ramp, I made it ramp half as fast. It took a bunch of extra room though, so I refactored all the config mode code to be smaller… and ended up close to the same size as before the muggle mode changes. Oh, and I changed button mappings so all config menus are on four clicks… even if there is no action on three clicks. Consistency is probably more important than density. Color patterns are configured in a manner similar to designing a sound on a synthesizer. This lets each person make their lightsaber unique. It also lets people see in real time what it will look like, so they can basically tweak knobs until it looks good. Thank you for the 4 clicks to go to config Toykeeper! And also thanks for the detailed explanations! Er, when the tube is loosened, it breaks electrical contact with both power and the e-switch. Mechanical lockout works without removing the cell. Sorry to drag up this arcane point again, but it seems to me that the cross-section in the first post at http://i.imgur.com/AVSmLGN.jpg shows the current path through the outer tube is only through the square cut threads at the head. There is a clear gap shown between the end of the outer tube and the driver retaining ring. Only the inner signalling connection would be broken by unscrewing the head a little. This is why I concluded that the square cut threads must be un-anodised. Hence mechanical lockout of the power connection would not happen. This makes sense to me, and alleviates my concern about the precision of tolerances and assembly that would otherwise be necessary if the only contact was at the faces on the ends of the tubes. Unless the design has changed ? Edit: it should be simple enough to verify whether this is the case with a continuity check on one of the prototypes. Or simply unscrewing the head a little whilst the torch is on, it might keep on shining, assuming that the tail switch is a normally-open variety, and that there is no detection of it’s presence. Hi! Sorry, hope this isn’t a pain, but please put me down for another 2 lights (currently #1025 and #1026) for a total of 4. This light looks awesome – gotta stock up! Can we machine a trit slot in the tail switch? Considering this will be nearly impossible to light the switch up a trit slot would be very handy to find this thing in the dark. I’m currently in the same boat with my black convoy s2+ metal switch. I wanted to use the light as a night stand light but nothing gets through that switch and I am going to experiment drilling my own trit slot adjacent to the switch. Lumintop has done this on several lights already so it’s in their wheelhouse for sure. Picture from giorgoskok’s Elfin review. I dont think the trit should be included. Just the slot.. Please put me down for 2 of these. Can we machine a trit slot in the tail switch? Probably not. Every part of this light, including the button, is thinned down enough that a trit slot would likely go all the way through the metal. The only place I know trits could fit is under the optic. It’s also possible that some might fit in the thick part of the tapered body tube. Most lights have a lot of extra material to drill into, but this one does not. It opts to be smaller rather than unnecessarily thick. The first prototype’s tail end was glued, so no. Not sure if later units will be glued too. The quoted text is a measurement, not a theory. And yes, the parts are pretty precise. That’s too bad because it’s very practical all things considered and similar lights with a focus on machining tend to have them. Where there’s a will there’s a way. Just glue a magnet onto the tailswitch with a trit slot in that and get 3 mods in 1: proud tailswitch, magnetic tail, trit. I’m sure a few people will find space somewhere to carve out a slot if that’s what they really want. Actually, a very neat idea! Given a choice between no trits or making the entire light larger and heavier, I’d rather go for no trits. That’s a matter of personal preference though. I have other lights with a focus on machining, and they feel like bricks in comparison. I don’t have any lights which are truly similar to the FW3A. 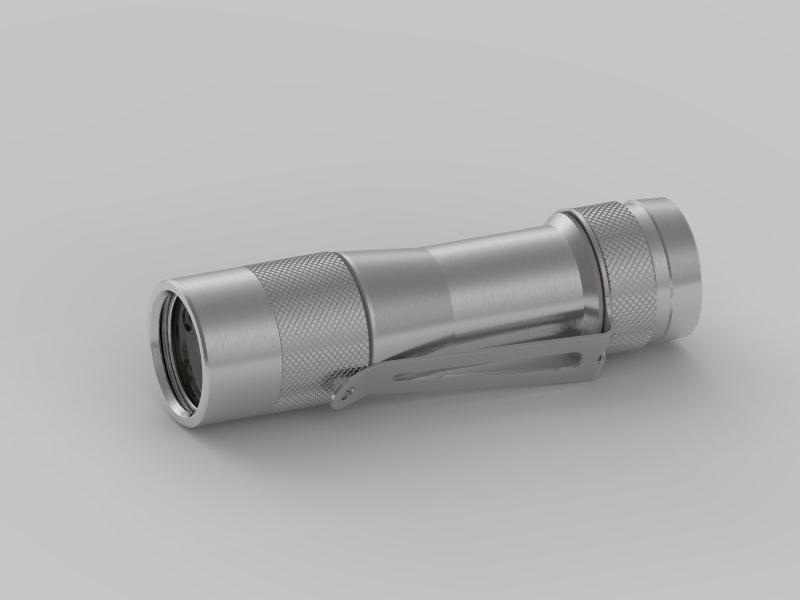 The Emisar D4 is closest, but it’s significantly heavier. Otherwise, the only lights I can compare it to are designed for AA/14500 or 16340/18350. 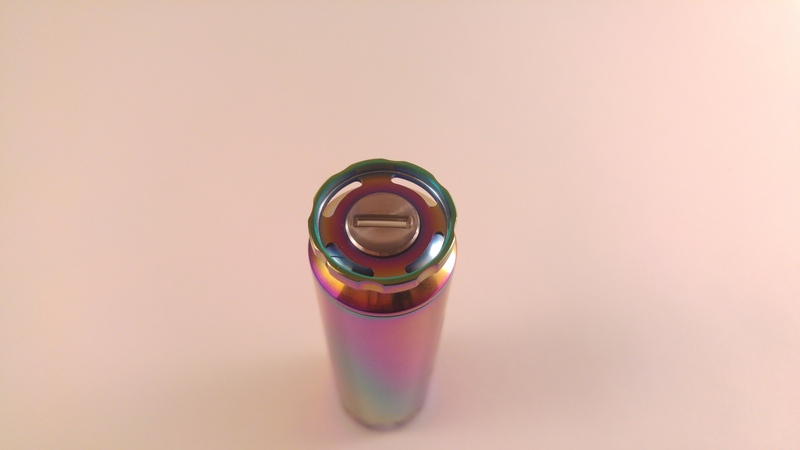 For example, a Convoy S2+ with 18350 tube is only a few millimeters shorter, and about the same weight when both lights have a battery installed. My Rey Ti has trit slots, but it’s heavier even in 18350 form. The FW3A is pretty close to the same size and weight as a SK-68, but it uses an 18650 cell instead of AA. I wanted to use the light as a night stand light. The BLF X5 and X6 are excellent for this. Factory lighted tail switches. Yeah, definitely prefer this to be as minimalist as possible. Comparable to a ZL SC64 without the triple? FWIW, Fritz successfully replaced the button with a rubber one. This makes it stick out, but it can also allow light through if it’s a clear rubber boot. I’m not sure if that really helps though. Wow , I love it. This render looks to have a grain type finish to it. Like it was spun and someone held some fine sand paper or scotchbrite to it. I think it is nicer than the bead blasted finish. I agree. And it looks AWESOME!!!! When can we buy this again? But, lets face it, this has become too big a run to have a very fine machined finish, that would require frequent re-sharpening of even the best carbide cutters, the best free-cutting alloys, slow cuts, and even then there might be moans about it not being quite perfect. If it was made of e.g. SS it could be electro-polished, but that would defeat the whole point of this very fine minimalist torch, cut down to the minimum. It seems like a “Swiss Watch” construction, definitely not ordinary. That’s a very cool UI which would be very popular with light painters (as well as Jedi Knights). Please add me for 1. It looks great. I was going to pull the plug on this light due to how long it is taking to develop, but that pic looks awesome, so I’ll continue to stick it out with everyone!